* Consumers will move beyond basic needs to discretionary spending. * They will seek value in products that serve basic needs such as food and grocery. * The definition of value will be different for different products. For instance, they will seek the lowest price for products that serve basic needs, whereas in others the determinants will range from aspiration to convenience to brand name. * There will be more visible consumption for products having bling value and consumers will continue to pay a premium for them. * We will see rise in indulgence with more desire for enjoyment and experience. * Consumers will seek more instant gratification. * We will also see the culture of throughout-the-year consumption rather than festival- or occasion-led spendings in the past. * Consumers will get more conscious about their health and well being. * They will begin getting concerned with the surrounding environment—including nature, society, politics and public policy. 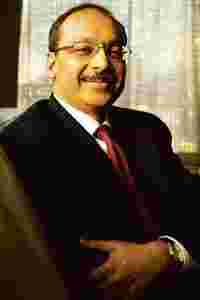 Arvind Singhal is chairman, Technopak Advisors Pvt. Ltd, a management consulting firm. This is the third of a nine-part series. Tomorrow: Star India Pvt. Ltd CEO Uday Shankar talks about the broadcast sector.